Whisk together mustard, maple syrup and cider vinegar in small bowl. Reserve 3 tablespoons mustard mixture for brushing the fish. Whisk olive oil into the remaining mustard mixture and set aside for dressing the greens. Spray cold grates of gas or charcoal grill with grilling spray. Preheat grill to medium-high heat. Pat salmon dry and season with salt and pepper. Add any remaining salt and pepper to the dressing. 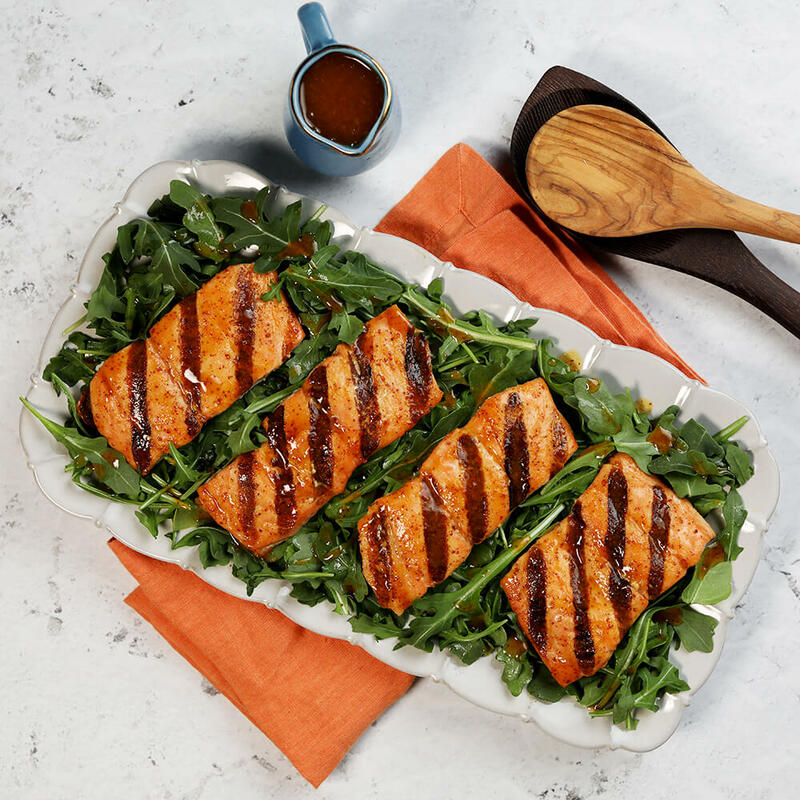 Brush salmon liberally with maple-mustard glaze. Place salmon skin side down on the grill, cover and cook undisturbed 3 to 5 minutes, until skin starts to crisp. Flip salmon and cook 3 to 5 minutes longer until firm (145°F). Serve salmon on a bed of arugula. Drizzle each portion evenly with maple-mustard vinaigrette.